Don Adams and Barbara Feldon team up again in this movie derived from the popular sit-com about an incompetent spy who somehow always manages to accomplish his mission. Agent Maxwell Smart is still in the spy business, but his wife, Agent 99, seems to be enjoying the civilian life. When Max is given a new mission, he is warned to keep his wife out of it. Max tries his best to do as instructed, but as usual, things go awry and all sorts of oddball hijinks ensue. The movie is filled with jokes and catch phrases that are recycled from the series, and the dynamic between Max and 99 is much the same as before. As he pursues answers on the matter of a mysterious weather machine that he has been asked to stop, he finds it increasingly difficult to keep 99 in the dark about what he is doing with his time. Before he knows it, she is in on the mission and the two of them are on the same team just as they were in the old days, working together to track down KAOS and stop the evil organization from unleashing its villainous plans on the world. 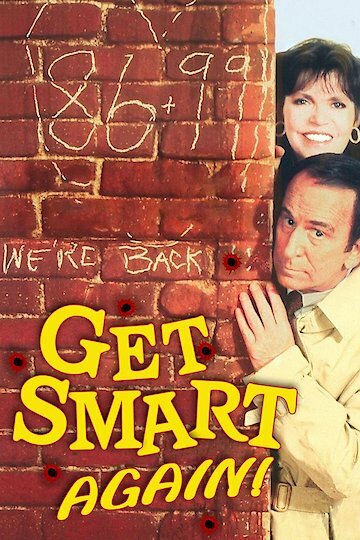 More Like Get Smart, Again! Get Smart, Again! is currently available to watch and stream, buy on demand at FlixFling VOD, Amazon, Vudu, iTunes, YouTube VOD online.